This recording is from a Basic Class in which the student is working on accessing a part. 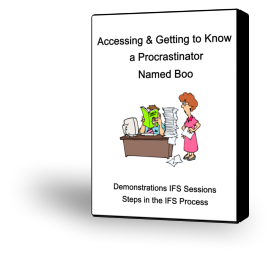 This Procrastinator Part was well known to her but not present at the time. Therefore, she had to activate it to access it. She sees it clearly and is able to stay in Self as she gets to know its motivations.